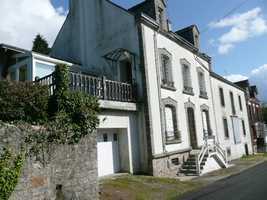 Brittany (Brittany Property Guide) is one of the most popular areas in France for British property buyers. 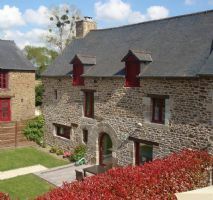 The French Home Office reports that the departments of the Côtes-d'Armor and Morbihan, along with the Manche (Manche Property Guide) in Lower Normandy and the Dordogne (Dordogne Property Guide) in Aquitaine, have the highest percentage of British second home owners in the country. Departments of Brittany - what do they offer property buyers? 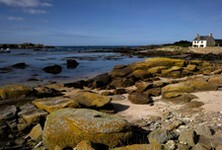 All four departments of Brittany have a coastline and you can reach the beaches easily from anywhere in the region. It is said that Morbihan (Morbihan Property Guide) has the mildest weather (Weather in France); the Côtes-d'Armor (Côtes-d'Armor Property Guide) has (arguably!) the prettiest coast; the Ille et Vilaine (Ille-et-Vilaine Property Guide) has a peaceful, agricultural countryside; and Finistère (Finistère Property Guide) offers the cheapest properties. Meanwhile the capital, Rennes (Rennes Property Guide), is found in the Ille et Vilaine department, so if you want a city location this could be a good place for you. 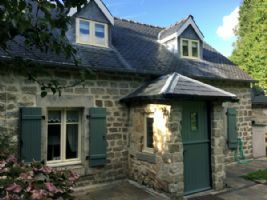 Buying property in Brittany - why is it the perfect destination? Brittany's popularity is hardly surprising. Its 1,700 miles of coastline alone mark it out as desirable, but its unspoilt inland areas and historic towns are just as lovely. Then there's the food and drink! Gourmands love Brittany for its seafood, crepes and cider. Another of Brittany's advantages is that it's easily accessible from the UK. The ferry ports of St Malo (Brittany Ferries) and Roscoff (Ferries to France), the airports of Rennes and Dinard and the good motorway and road networks make getting there for weekends and holidays a breeze. Cheap and renovation properties can still be found. Though if you want something really special and have a higher budget, there are also many options to explore. Many buying property in France want to make extra cash from their purchase, and Brittany offers a lot of possibilities to do so. The region's holiday appeal makes it great for ventures like B&Bs and gites (Owning Gites and Chambres D'Hotes (B&Bs) in France). Small and charming cottages in the country are always a good bet for renting out. As are properties with sea views. 2018 looks full of promise for property buyers looking for homes in Brittany. Brittany seems unlikely to ever lose its popularity with British buyers, and realistic pricing plus the lure of the seaside seems set to keeps us coming back for more in 2018. 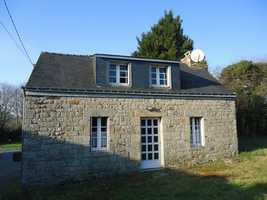 So why not take a look at ten of the best Brittany properties currently for sale? 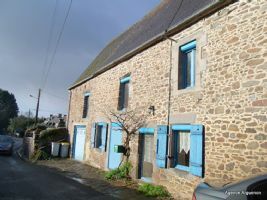 Set at the outskirst of the market town of Gourin in Morbihan, 2 bedroom stone cottage with garage and garden of approx 300 sq,m with possibility to purchase more land for a total of 1 230 sq.m Ideal for a holiday place in Central Brittany. Approx 45 min from the south coast. Close to Langonnet, 8 bedrooms house with conservatory. garden. SOLD BY THE AGENCY - Set at the outskirts of the market town of Gourin in a small hamlet, nice and cosy 2 bedroom fully renovated and tastely decorated country cottage with attached garage and manageable garden. Ready to move into. Just 45 min from South Coast. 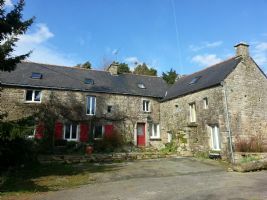 PRICE REDUCED - Set in a hamlet close to the picturesque town of GUEMENE S/SCORFF, superb renovated property of 4 bedroom, with large outbuiding, hangar, workshop. Garden and courtyard. 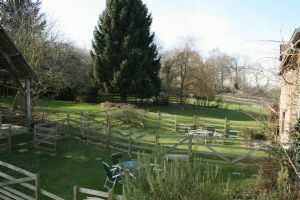 All set within approx over 1/2 acre of land. SOLD BY THE AGENCY - Superb renovated house set in a small hamlet at the outskirts of Gourin (56) comprising of kitchen, 2 receptions rooms with feature fireplaces, 6 bedrooms, 2 bathrooms. Garage/workshop, ruin. Approx 1 acre 1/2 of land. Just 45 min from South Coast. This historic Manor House dating back to 1370, oozes character, has just come onto the market and has to be viewed to appreciate its charm. It is located at the end of a no through road in peaceful, tranquil countryside but is within walking distance to the town of Loudeac. 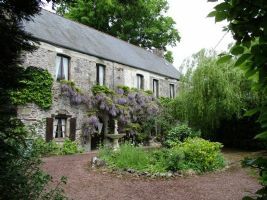 It is set in just over 4 hectares of land, most of which is woodland with pretty secret garden areas and has a one bed gite, longere ready for conversion,stone building used for storage and a charming circular summer house. This gite complex is located at the end of a pretty private driveway, overlooking the village which is only two minutes away. 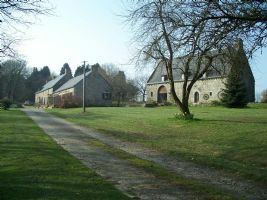 The current owners are already successfully running two gites which between them sleep 10 guests. With the planning permission already granted (copy of plans available) there is the potential to increase this site into five gites with an impressive manoir, which could then accommodate over 30 guests. 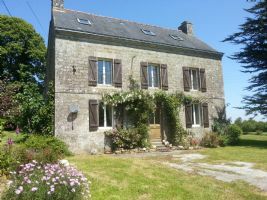 This lovely Breton farmhouse home with 3 up and running, ready to let gites is set amidst the beautiful countryside of north-east Brittany, close to the Normandy border. The three delightful holiday gîtes – Le Fenil (sleeps 9 people), Abricot (sleeps 4 people) & Romarin (sleeps 4 people) offer that rare to find live work opportunity, with a ready to inherit letting history, successfully built up by the current vendors. Enjoying a prime location, only 5 mn from Dinan, and a short drive away from St Malo and Dinard airport, this exceptionnal property is set in charming and peaceful countryside, on 5049m2 of grounds which include a picnic and play areas, and a large and secured pond. Currently running exclusively as a seasonal renting business, the 5 individual stone houses, full of charm and character, all wifh modern confort, provide a great business opportunity.